The Explorers Garden Route is about 350 km east from Cape Town, en route to the Garden Route, you will find the jewel of the Southern Cape: the Hessequa region part of the Garden Route Including towns like Stilbaai, Jongensfontein, Riversdale, Albertinia , Witsand, Gouritsmond and Heidelberg. Come experience unspoilt beauty, with the majestic “Langeberge” (“Long Mountains”) silently tracking your progress along the coast, where you will find unique “fynbos”, white beaches and spoil your taste buds with the wine, cheese and olives for which this region is fast becoming well known. Come and explore this jewel for yourself….and be prepared to be surprised! 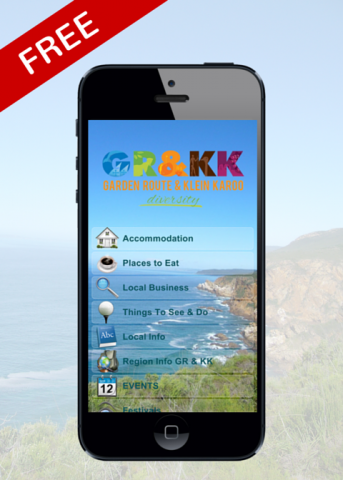 Download the "Garden Route and Klein Karoo " cellphone App and find all your accommodation, activities, places to eat, What to do and what to see, also use this App to find al the local businesses and local info of these towns.Where Riversdale is at the foot of the Sleeping Beauty , Albertinia the only Aloe factory, Witsand with the Whales, Stilbaai the best holiday town and Gouritsmond with some of the best fishing in the Southern Cape. Don't forget Heidelberg with its rich history and old buildings.